When purchasing a new engine we invite you to contact one of our OEM affiliates to discuss having E-MAGs installed at the factory. It’s a great way to avoid the inconvenience and expense of upgrading from magnetos later on. Below you will find contact names, email addresses, and links to the manufacturers engine options web page. You might notice that E-MAG is frequently the only electronic option listed. 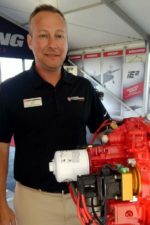 LYCOMING™ – Jeff Schans is the Thunderbolt Sales Manager (jschans@lycoming.com) and can assist with your Thunderbolt or experimental engine options. Lycoming™ can install and test one E-MAG at the factory. Yes, you can get E-MAGs on your Vans (Lycoming) engine order as well. 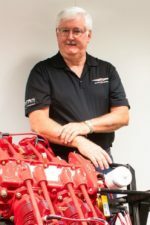 Go to https://www.lycoming.com/engine-builder for details. Note from E-MAG: If you want E-MAG on both sides, Lycoming can delete/credit the second side magneto. You can then order a second unit direct from E-MAG. Confirm with Lycoming when ordering. CONTINENTAL – James Ball (JB) is the Continental Titan™ Sales Manager at Continental Motors Group (jball@cmg.aero, tel: +1 251 438 3411). Titan™ engines are customizable, and JB will be happy to take you through the popular options. Visit www.continentalmotors.aero for more details or contact JB to discuss installing one or two E-MAGs on your new Titan™ experimental engine. SUPERIOR AIR PARTS™ – Scott Hayes is Superior’s VP of Sales and Marketing (shayes@superiorairparts.com). Superior™ can install one or two E-MAGs on your factory built Superior XP™ package. Go to www.superiorengines/options for more details. We are pleased to note that Superior™ has been installing E-MAGs for over 12 years, so they have plenty of experience with our system.